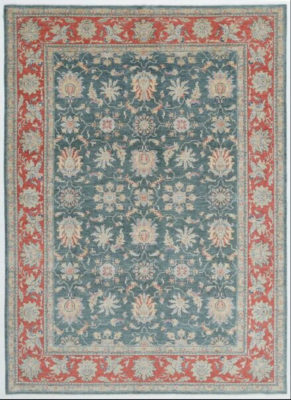 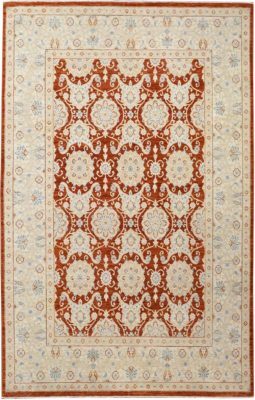 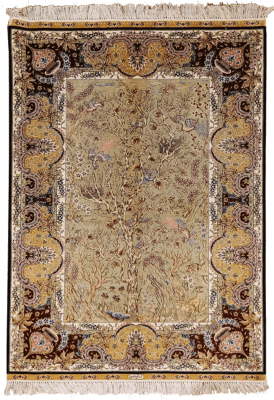 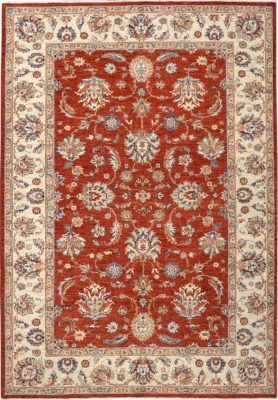 These sophisticated wool area rugs, highly desired by interior designers are influenced by Persian designs. 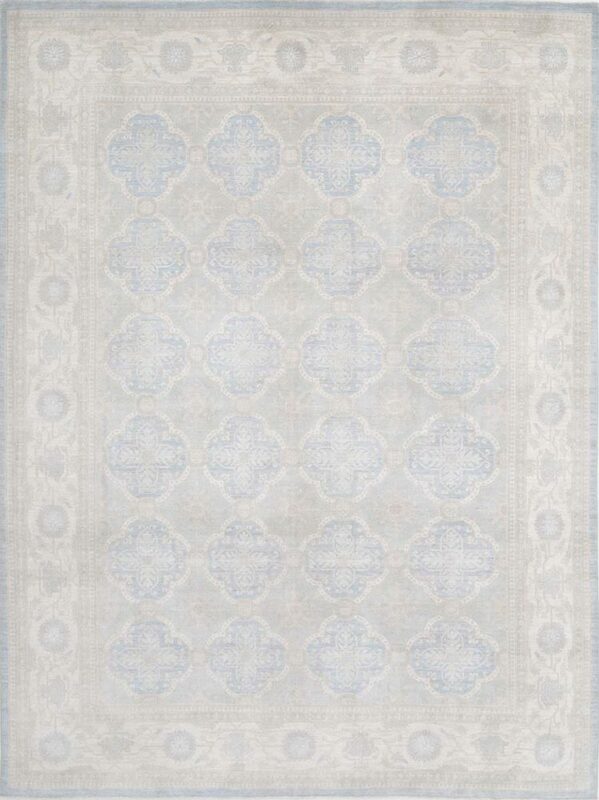 These rugs are distinctive in both pattern and color and known for their silky, luminous wool. 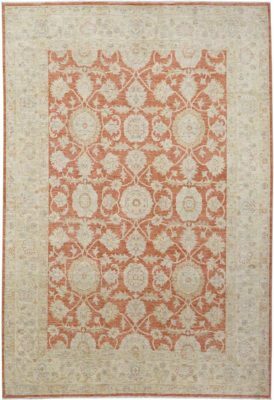 Characterized by angular large-scale floral elements, the colors tend to be soft and pastel. 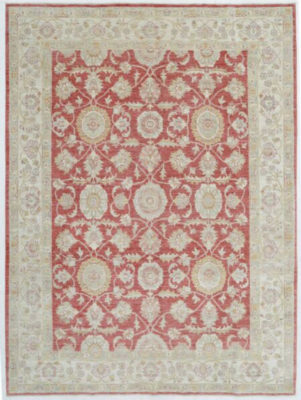 100% handspun wool and natural dyes on a cotton foundation.